Starting on September 16th, Discover Cards can be used with mobile payment system Apple Pay. As a bonus, from that date until the end of the year, Discover Card members using Apple Pay will earn an extra 10% on in-store purchases of up to $10,000. An extra 10 miles per dollar spent on in-store purchases up to $10,000 will be awarded to Discover it Miles, Miles and Escape cardmembers. Those using their Discover Cards with Apple Pay will continue to have protection like $0 Fraud Liability Guarantee. This means that cardholders will never be responsible to pay for unauthorized purchases made with the card. And Apple Pay doesn't use or store your actual card number. Besides the unique Device Account Number that is assigned to your card, encrypted and securely stored on your iPhone, each transaction uses a one-time unique dynamic security code. 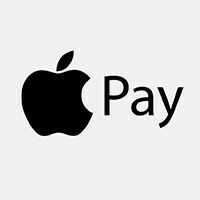 Apple Pay works with the Apple iPhone 6, Apple iPhone 6 Plus, Apple iPhone 6s and Apple iPhone 6s Plus, along with the Apple Watch. Kinda out of topic here, but is PhoneArena bombard us with tons of Apple article? I mean I open the main page all I see is full of Apple article. I know, it's crazy! It's almost as if Apple held an event today or something! Nah, I know that, still we didn't never see that much of article covered for Samsung nor any other manufacturer during their launch date.